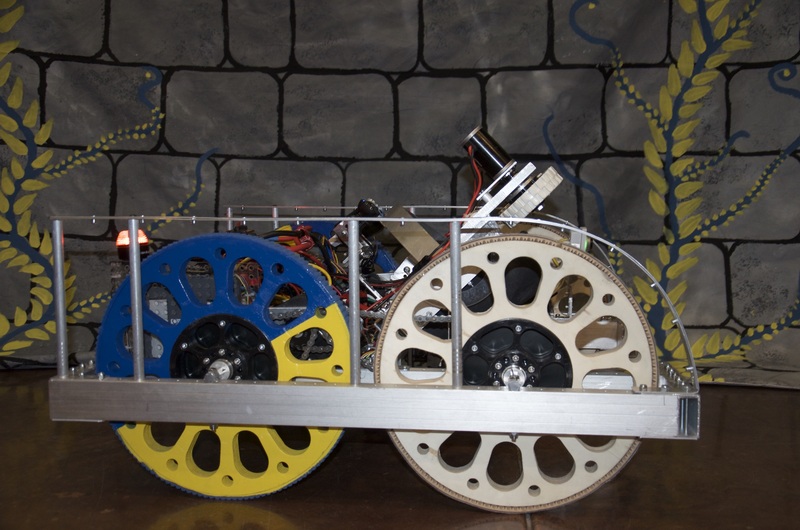 Our 2016 Sponsors allow us to build robots – and our futures – and are featured on our banner, which is part of our Robot Pit at every competition and is brought to every public event. Sponsors are on our Team Shirts, website, social media and more! Spartronics Team 4915 hosted its first FLL event in December at Bainbridge High School. 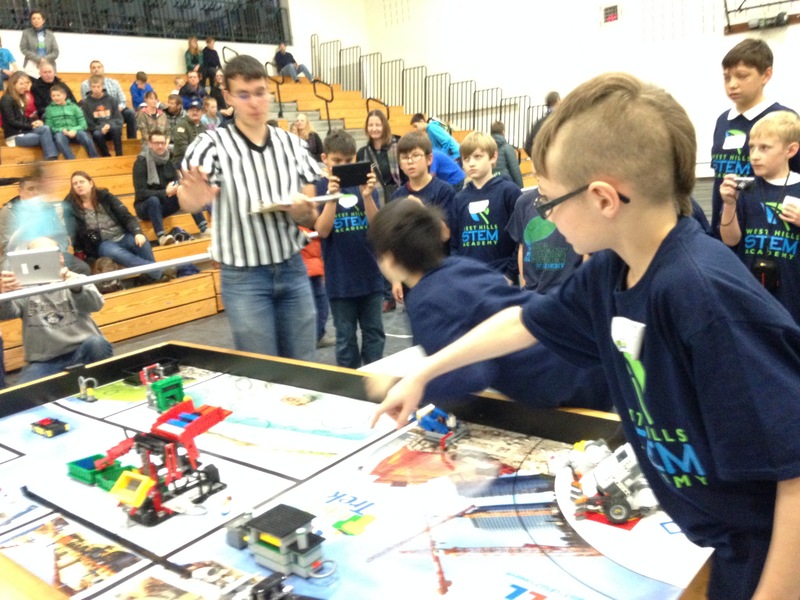 FIRST Lego League Teams from Edmonds to throughout the Kitsap Peninsula attended the event. More than 40 Spartronics students, mentors, alumni and parents helps to put on the event, including four FLL community-sponsored teams (lead by STEM advocate Judith Levine). 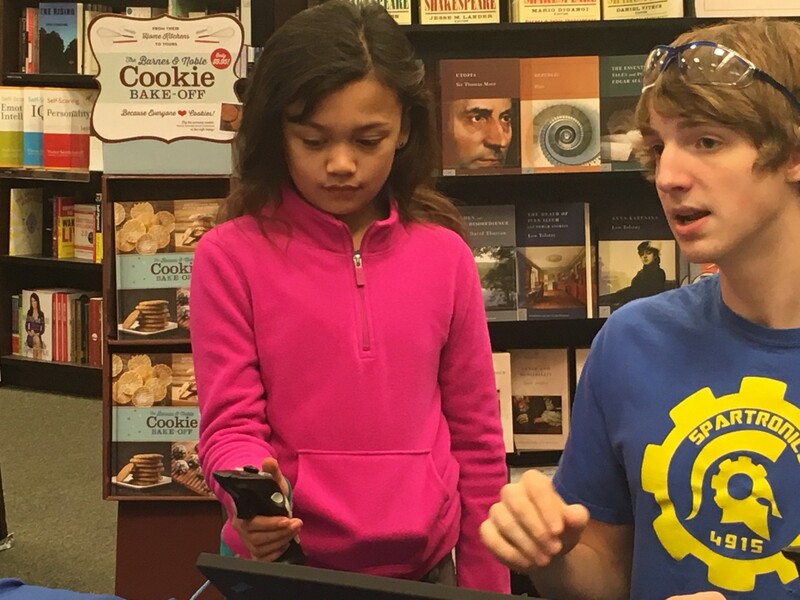 2016 Team Co-Captain Robby Davis (right) a Senior at Bainbridge High School and on the 2016 drive team gives robot driving lessons at a STEM outreach event at Barnes & Noble Bookstore in Silverdale in 2015. 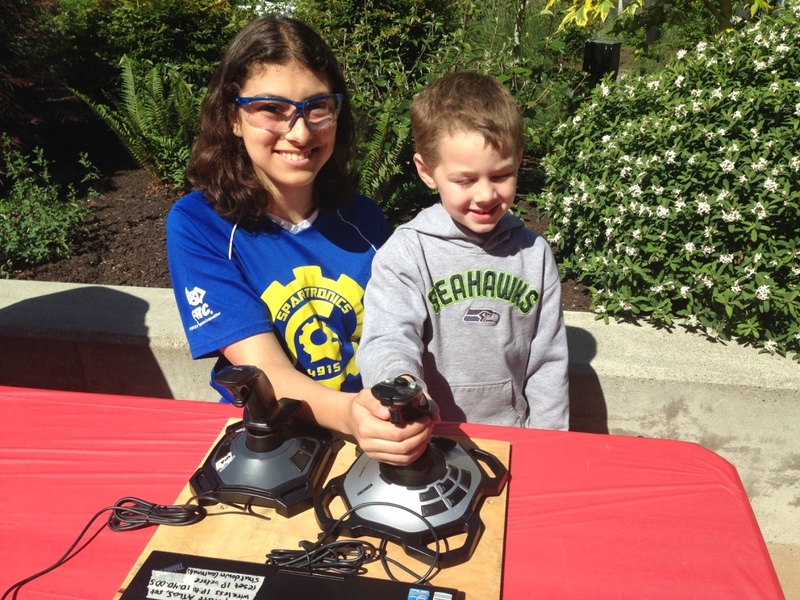 2016 Co-Captain Clio Batali, a Junior at Bainbridge High School, at the Bainbridge Island Kids Discovery Museum 10th Anniversary event where she and other Spartronics members taught younger students how to drive ATLaS, our first robot! A moment of Gracious Professionalism at the 2015 Shorewood event, sending a message (on the cardboard, center) to the Washington State legislature to please fund OSPI grants that help us build our robots — and our futures! All teams competing joined us for this Spartronics impromptu photograph. 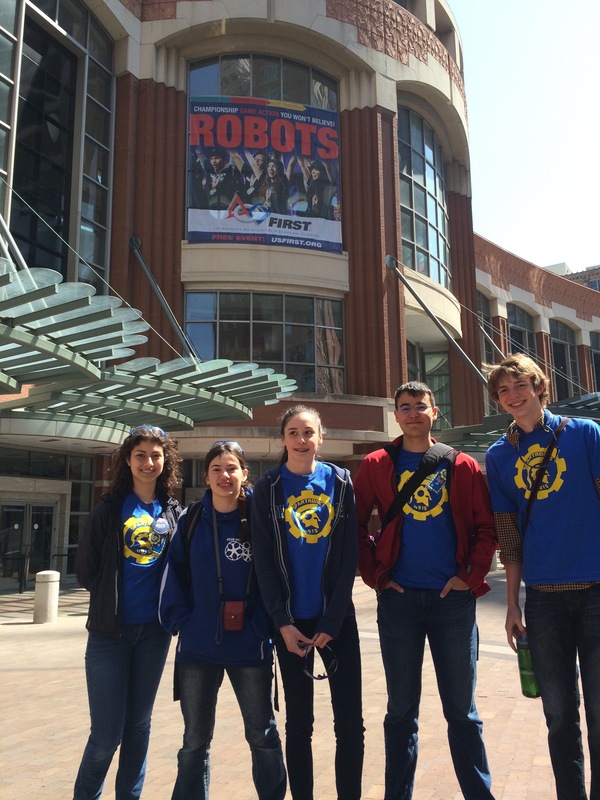 Emma Chee (center) with our 2015 Drive Team at Worlds in St. Louis (left to right) including Clio Batali, Anika Vroom, Tarkan Al-Kazily and Robby Davis. In just 6 weeks: that’s how long every team in the World in this year’s FIRST Robotics Competition has to build a robot. 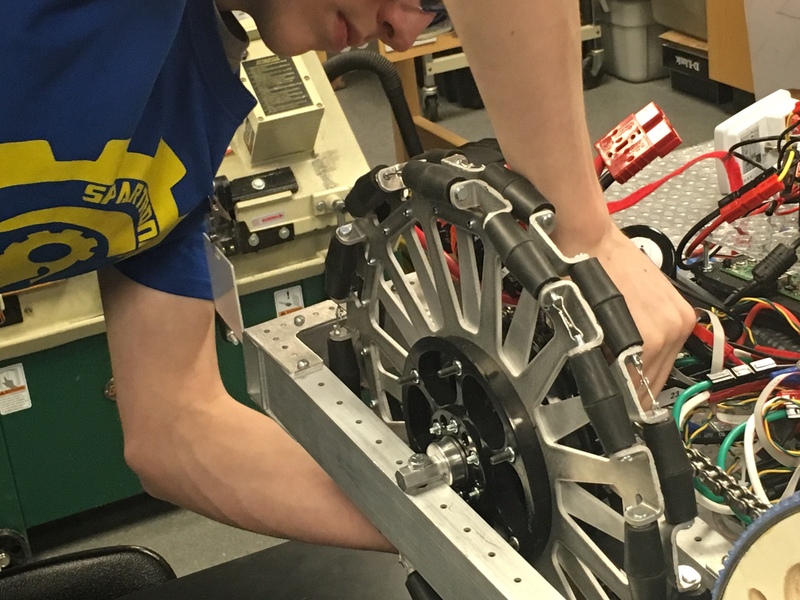 Here Robby Davis, a Senior headed to Boise State for a degree in mechanical engineering, tests out student created 14″ Omni Wheels for the 2016 game, STRONGHOLD. Mentors, such as Riyadth Al-Kazily, guide students throughout the build season, lending their real world experiences to the process. 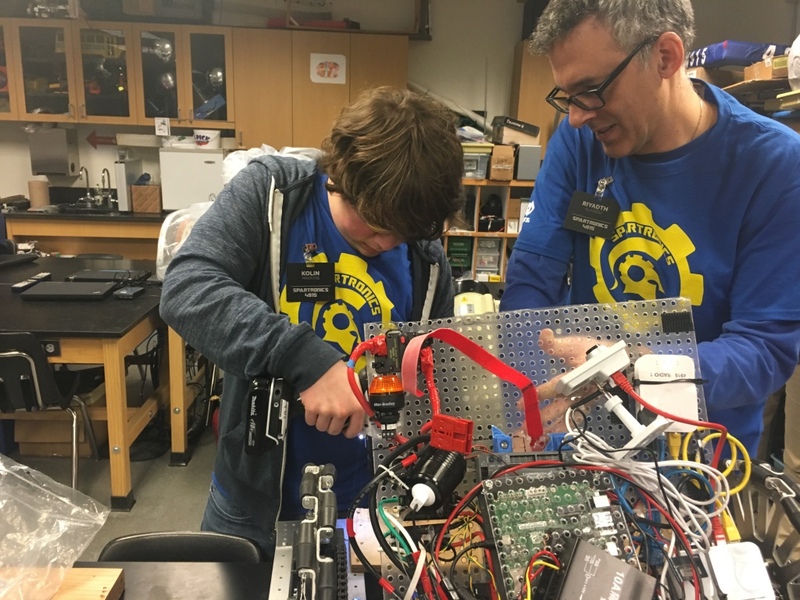 Here 2016 Co-Captain Kolin Hawkins, a Senior at Bainbridge High School who is headed to Boise State for a degree in Mechanical Engineer, works on their test robot for the 2016 build season. 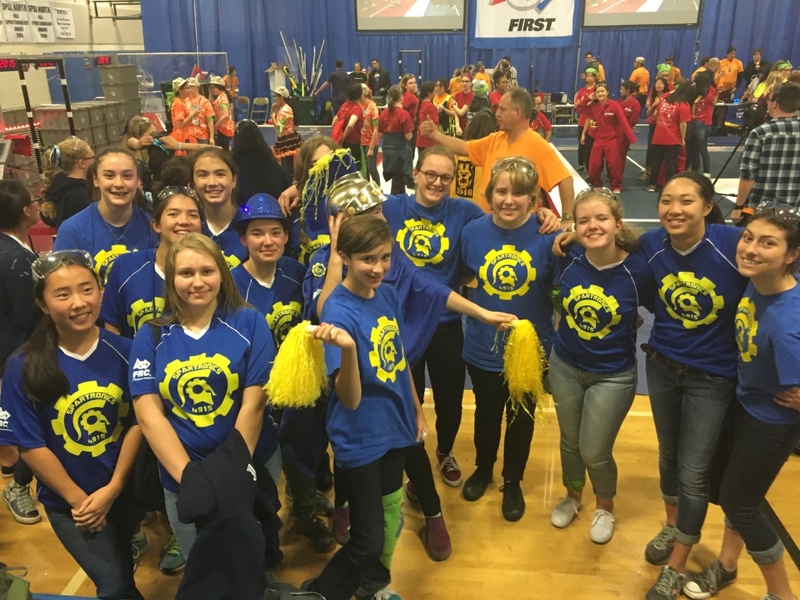 Our 2015 Girls Generation competition team placed 2nd in the 2015 competition, among nearly 3 dozen teams from throughout the state of Washington.